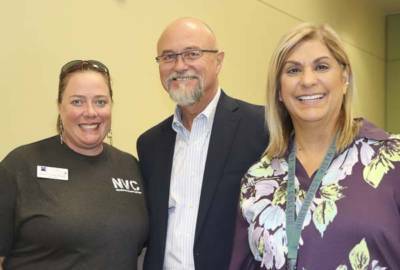 More than 70 Northwest Vista College employees who contributed to the 2017 NVC Cares. . . 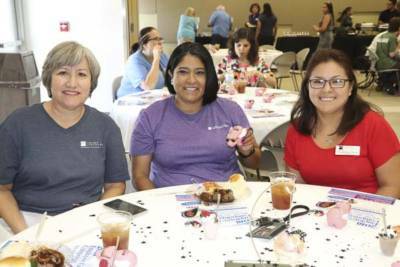 I Care employee giving campaign heard three NVC scholarship recipients talk about their educational journey and the impact of scholarships at the Celebration of Giving luncheon last week. 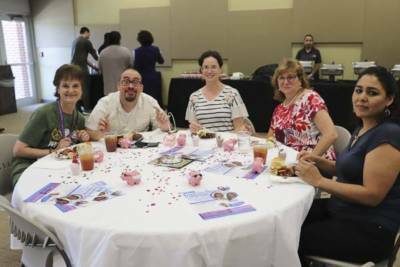 Seventy-one percent of NVC employees participated in the 2017 campaign and raised $54,985. 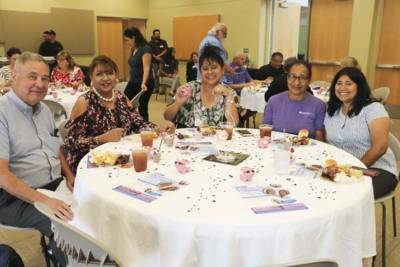 Of that total, $38,021 was designated for NVC and Alamo College funds, $1,085 was raised for arts and cultural organizations through theFund and $15,878 was raised for United Way agencies. 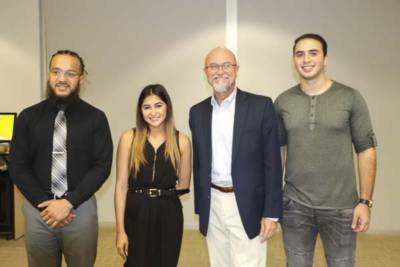 Those attending heard stories from three NVC students who received scholarships for the 2018-2019 academic year. John Robinson received the Greehey Family Foundation Endowed Scholarship this year and is a past recipient of the NVC Business Council Scholarship and the Master Sergeant James Volstad Scholarship for Military Veterans. He is a father, veteran, husband and student motivated by life experiences and family. 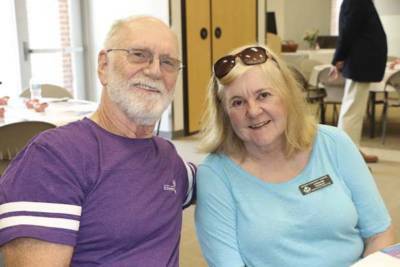 He talked about the transitions in his life, which he described as being “scary”, but comfort came as a student when he received letters which began, “Congratulations, you have been selected for a scholarship.” He speaks of the five scholarships from NVC with pride. Saher Owda received the Beverly Evans Memorial Student Life Scholarship for this fall. 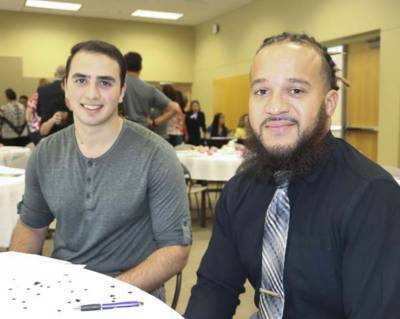 He immigrated to the United States from an area of conflict and says his motivation to become an engineer is centered on helping others. He shared his remarkable story on what drives him to make change, be different and constantly challenge himself. His goal is to become an engineer who works on Texas highways. 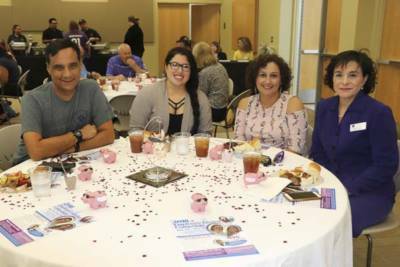 Alexia Chapa is a 2018 recipient of the Greehey Family Foundation Endowed Scholarship. She is a pre-nursing major with a goal to become a registered nurse specializing in pediatrics. 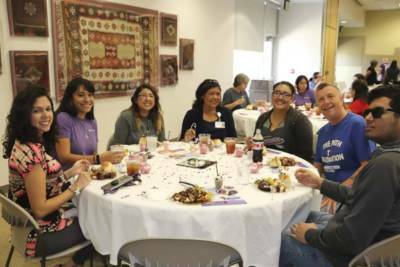 She says her close-knit family has given her the strength and support to attend colleges and shared more about herself and the difference scholarships have made in her life. “Scholarships impact more than just the recipient,” she said. 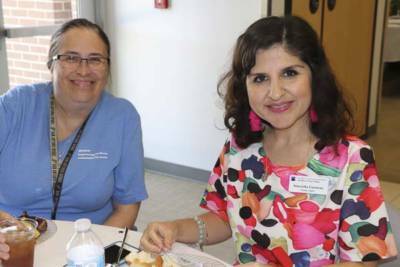 The award not only helps pay tuition, but provides the drive needed to reach a goal of becoming a nurse specializing in pediatrics, she explained. All three student speakers received standing ovations after their presentations. 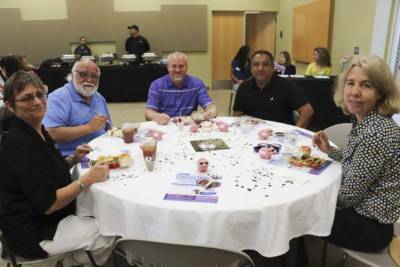 NVC President Dr. Ric Baser is again serving as Campaign Chair of the Alamo Colleges Employees Giving Back Campaign. He encouraged those present to help NVC win this year’s college president t-shirt challenge in which the winning president will have the other presidents wear the shirt or jersey of his or her college and a photo will be taken. This year’s participation goal is 81%. User Name will be your complete ACES email address: i.e. jsmith@alamo.edu . Password stays the same – GIVE### (last 4 digits of your Banner ID). For example, if your Banner ID is 900078681, then your password is GIVE8681. You may also pick up paper pledge forms in Manzanillo Hall, Room 104G.